To the place where one lives: “what time did he get home last night?”. 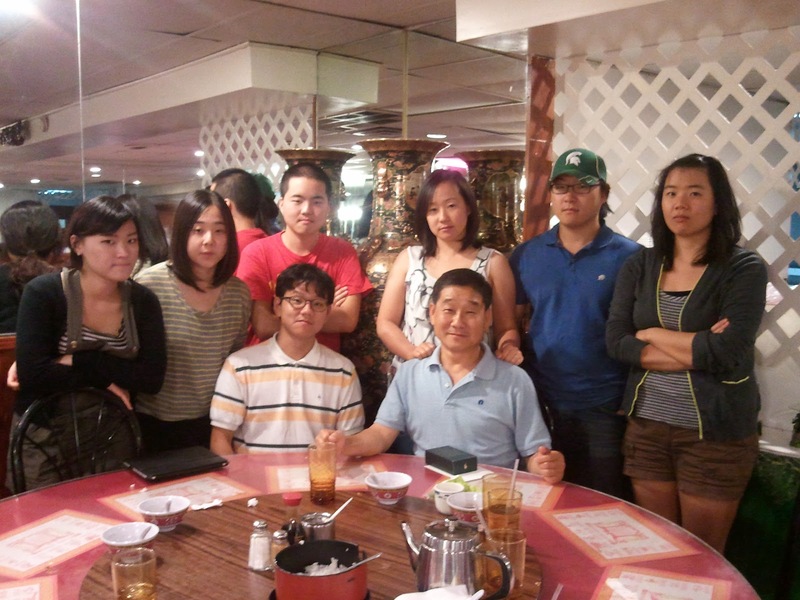 June 15, 2012 marked the first year anniversary of InChul, Hudson, and my arrival in East Lansing, Michigan. 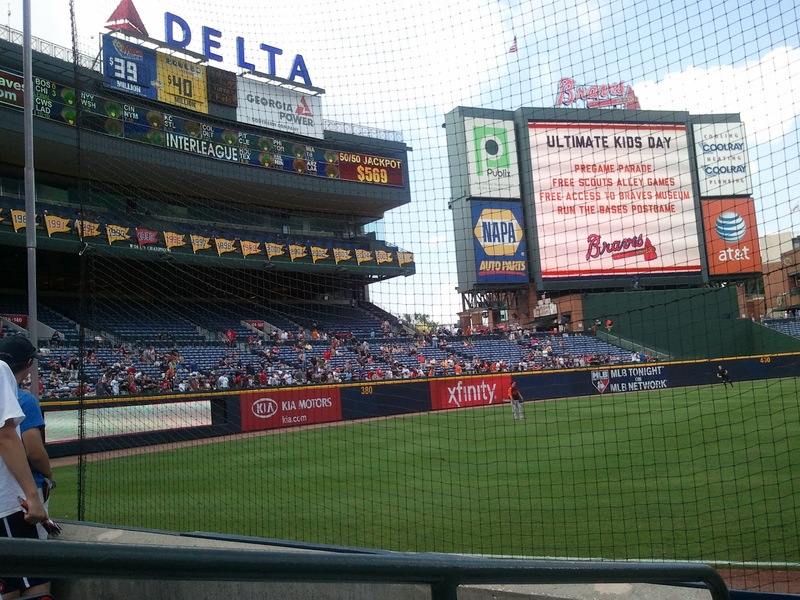 Ironically, we spent this momentous day many miles away from our new “home”…in Atlanta, GA. Despite the paradox that this situation presented, it actually became a more than fitting setting for this anniversary – giving me an opportunity to reflect on the life I left to begin the first year of this new stage in life…and discovering that “home” was not a place, but the people. My VERY long walk down memory lane these past few days gave me chance to slip back in time to be with the people who made Atlanta, GA my “home”. Atlanta or East Lansing, we’re “home”. No matter where I go, no matter who I meet, there is one particular person who will make any place I go “home” to me. 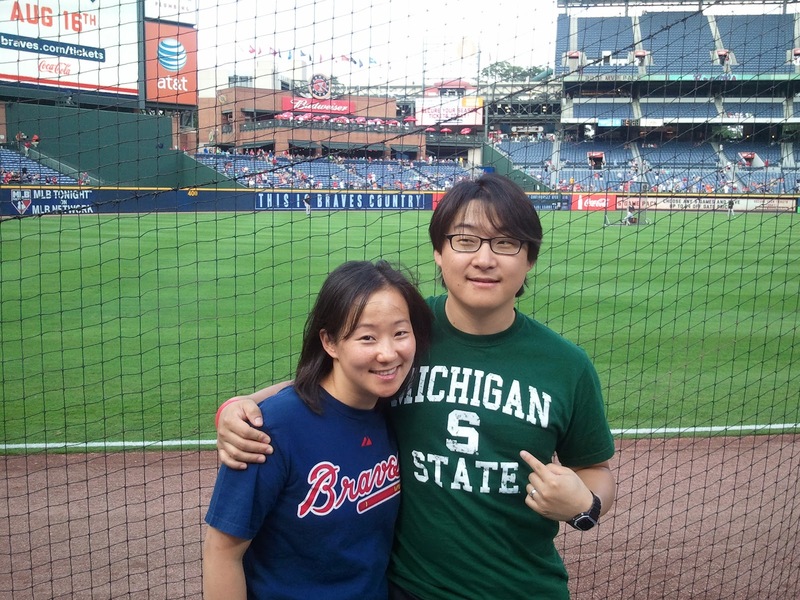 Every other trip I have made on my own, I always felt as if I was merely visitor…even in Atlanta…without this person. And returning to his side always makes me feel as if I am “coming home”. 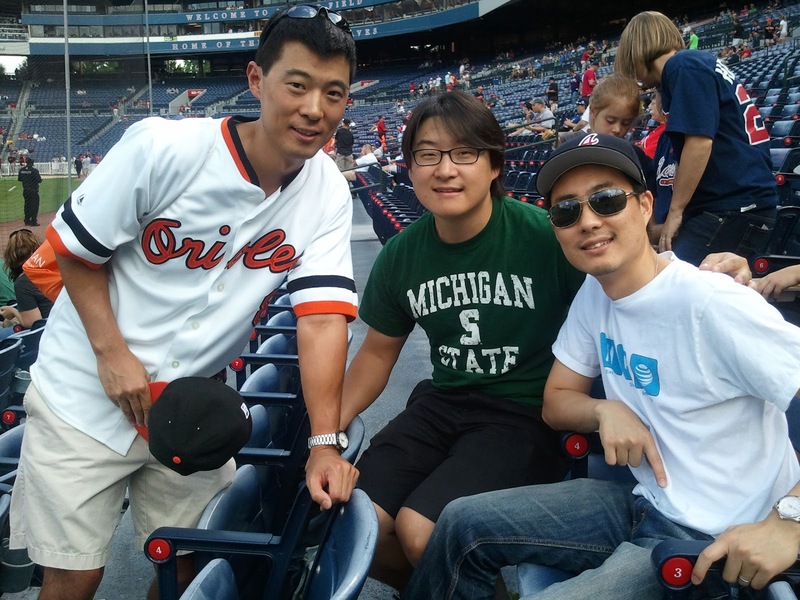 Without a doubt, this trip to Atlanta was very different from others…and I think everyone else could tell I was feeling much more relaxed and at ease knowing InChul was in Atlanta with me. It was this difference that made me realize that home is so much more than any location (whether you were born there, lived there most of your life, or simply enjoyed living there). So whether I’m in East Lansing or in Atlanta…or anywhere else, for that matter…it will always be “home” wherever he is with me. When I stepped off the escalator at Hartsfield-Jackson Airport and saw my sister waving, it brought a sense of belonging and security. Even though we may not always behave as what most people who imagine when they think of family, we have a deep bond to each other. 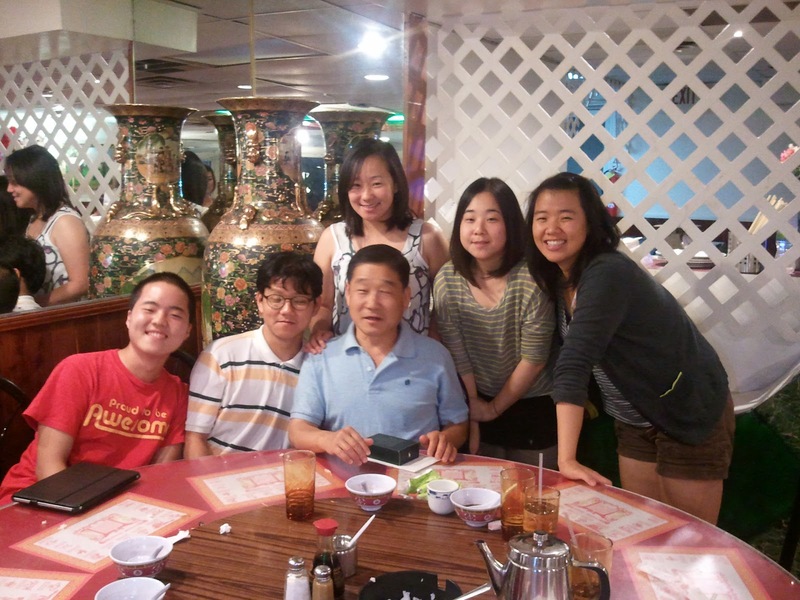 Being able to spend time with them (as well as my grandmother, who is here visiting from Korea, and my aunt and uncle) took me back to so many fond memories – everything from the birth of my youngest brother and cousin to those final days I lived in the apartment with my family before getting married. Whether they were of tough times or good times, the moments shared with my family will always be a source of comfort and belonging…again, “HOME”!! 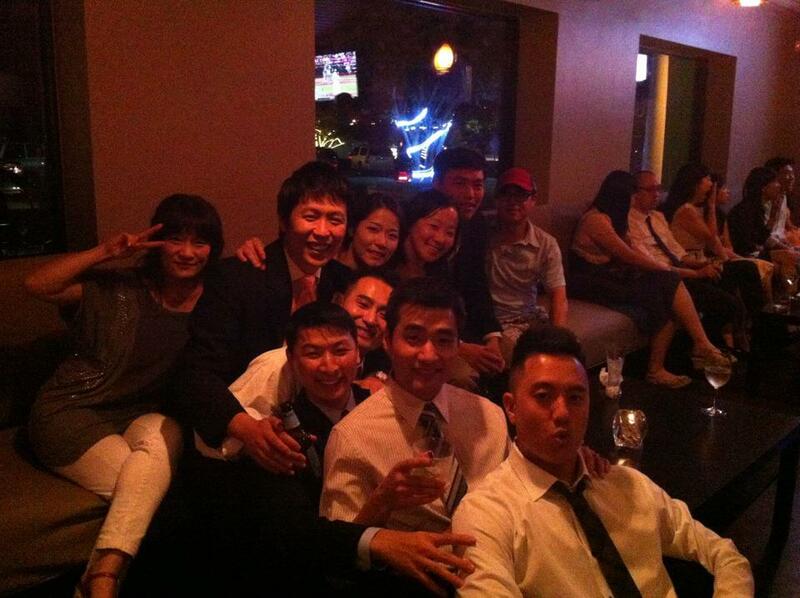 Chungs + Ans + Haeji = The COMPLETE Chung Family!! No. 1 and No. 2…this bond can’t be broken!! 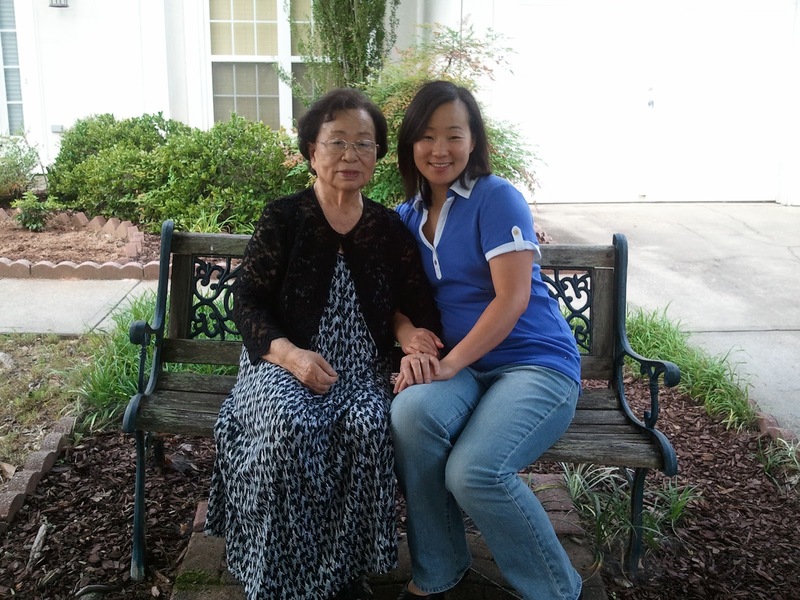 The Grandmother – so glad we were able to meet again! 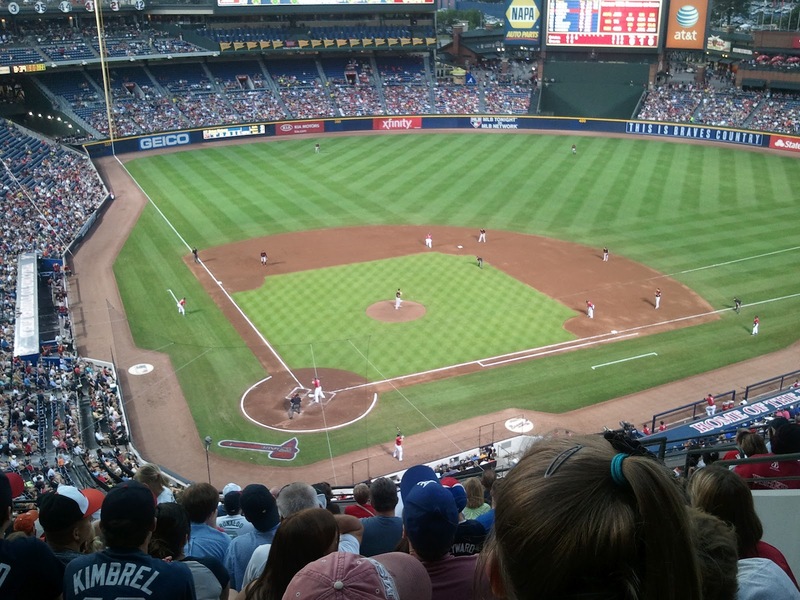 As mentioned in a previous blog, my love of the Atlanta Braves definitely solidifies my love for both the game they play and the city they represent. 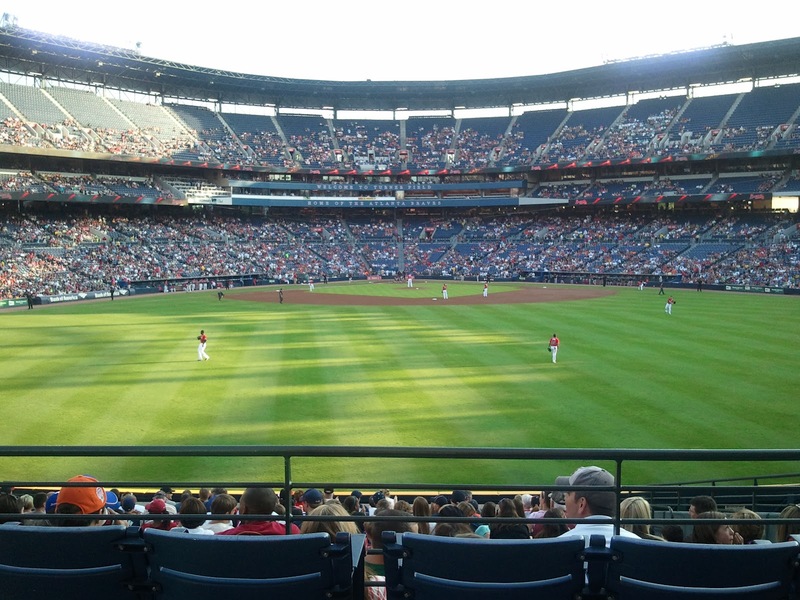 I got to spent Friday evening with friends at one of the places in Atlanta I feel the MOST at home – Turner Stadium. I may not be the most knowledgeable about the game or the players I love. Still, I will always feel at “home” with this team, and will always come back to Turner Stadium as often as I can with the same anticipation every time. 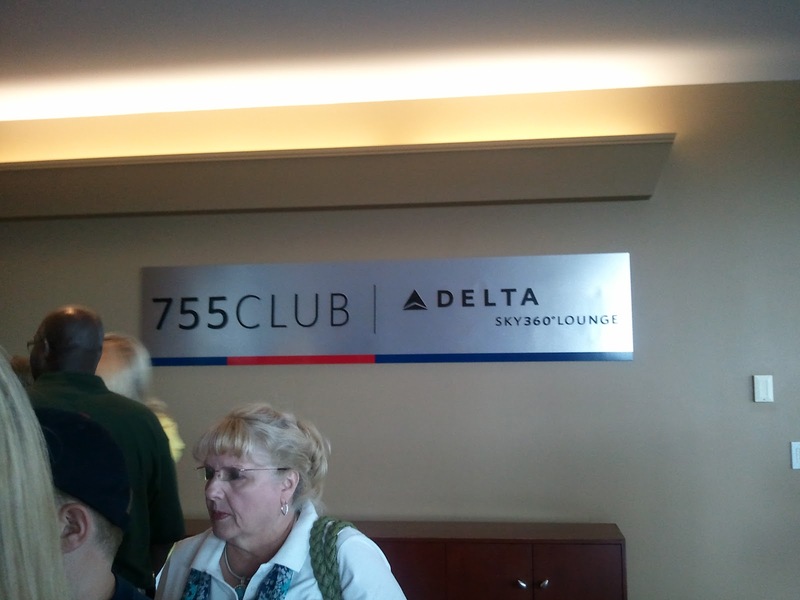 Actually got access to the 755 Club…not much to see though. My Team Takes the Field…EEEEEEEEEEEEEE!!! 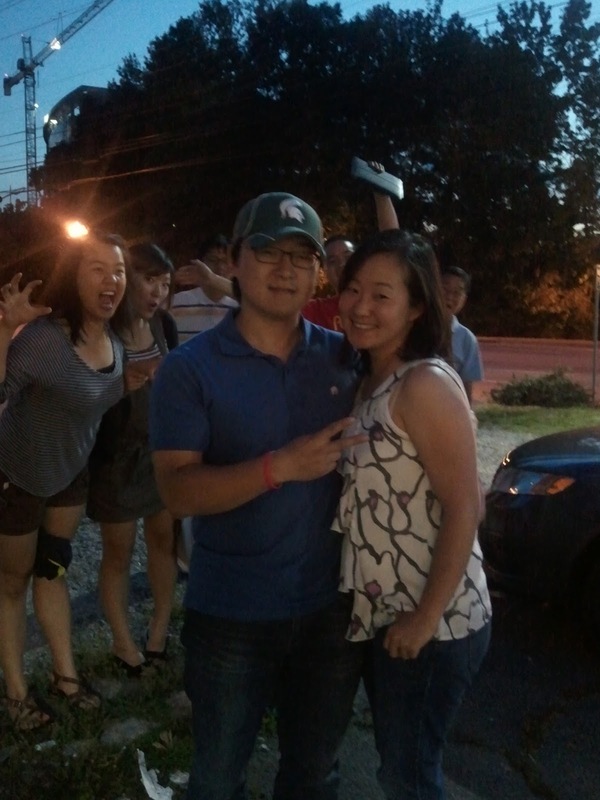 These are the people who have done so much to show me so much love while I was in Atlanta, GA. These are the people who will sacrifice money, time, sleep, and MORE to make me feel at “home”. Needless to say, I am greatly indebted to them and cannot even begin to express my gratitude for all they do for me and mean to me. 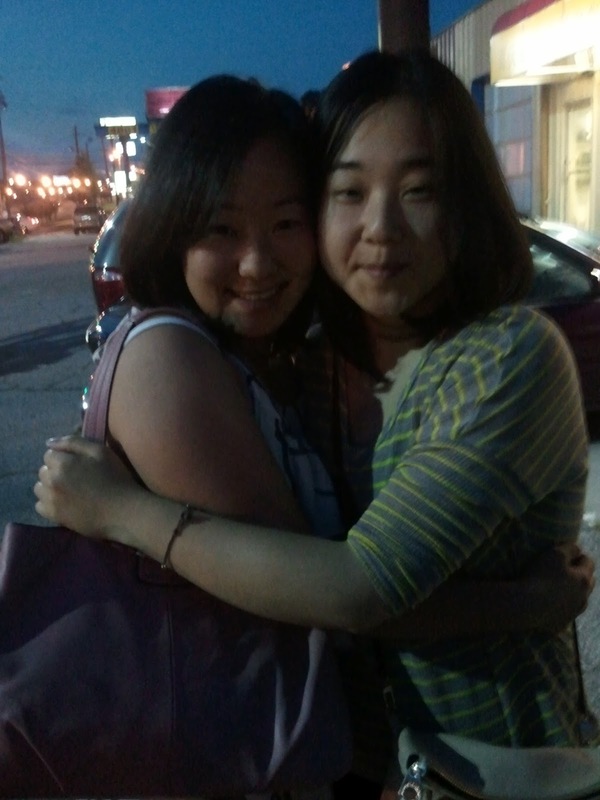 To “The Girls” – Yunmi, for going out of her way to drag two 15 month old girls to Panera just so I can meet them (you are an amazing mom and I’m so glad to have gotten the chance to catch up with you!). Sylvia, for allowing me into your world and entrusting me with so much…and for allowing me to love on you, speak frankly to you, and giving me an opportunity to return a bit of the kindness you have always shown me (and for sharing Yogli Mogli with me!!). Janet, for being such an amazing friend to talk to and giving me so much hope that it IS possible to raise such fantastic kids and be so loving to my husband in a day and age where the opposite seems to be the norm (you are always such an inspiration to me!). Stephanie, for your giving heart and ability to always make me feel so loved despite myself…and for always encouraging me to stay the course and look to Jesus no matter what the world may throw at me (it’s always awesome to be able to share so much with you…and at times, just to be goofy and “weird” and know I have someone who understands and will join the fun!). To “The Crew” – Joe, Meiven, Daeywi, Ethan, Ann, Merf/Laura (need to come up with a nickname for the two of you), Eric, Mark/Sarah (again, nickname)…for allowing me to dictate the weekend and staying up late when I KNOW you all were dead tired! I cannot thank you all enough for running around doing all the “Atlanta” things I don’t get to do in East Lansing. And for knowing me sooooo well (the Sid Bream bobble head and signed copy of John Smoltz’s book just says it all!). I can’t say enough to show my appreciation for you all!! 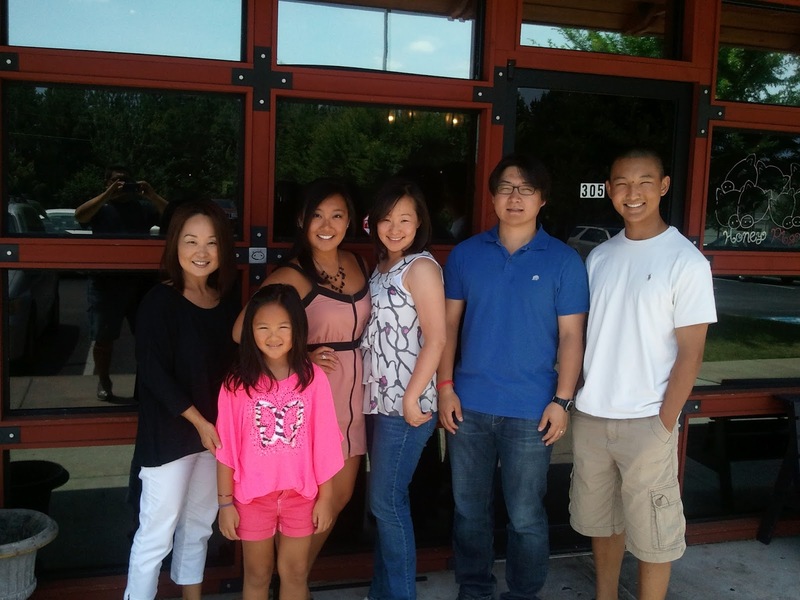 To the Chuns – Our “other” family in Atlanta…I always love sharing a meal with you and catching up on what’s going on. You always open up yourselves and your hearts and make us feel so welcome and “at home”. You will always be a part of our story…and will always be welcome in our “home” no matter where we are! To the Robins’ and Troung’s- Even if our meeting was brief, you all are always on our minds and hearts. 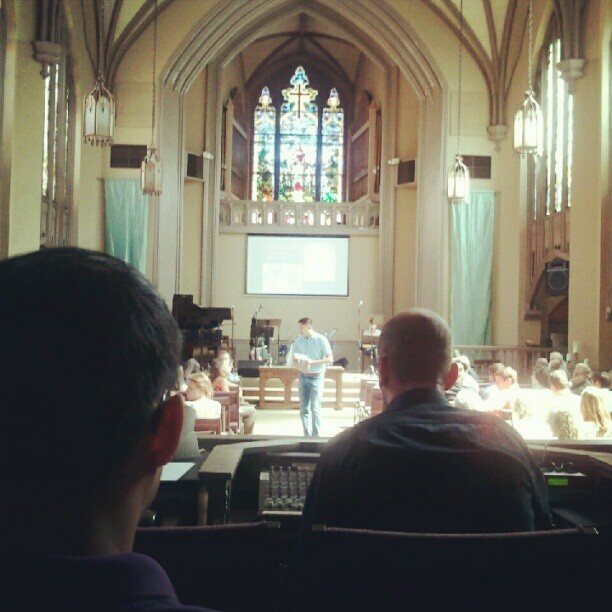 St Paul’s always feels like “home” to us because of you, and we miss you so much when we are away. We are praying for your families and the church, and hope to be as much of a comfort and inspiration to you as you have been to us. 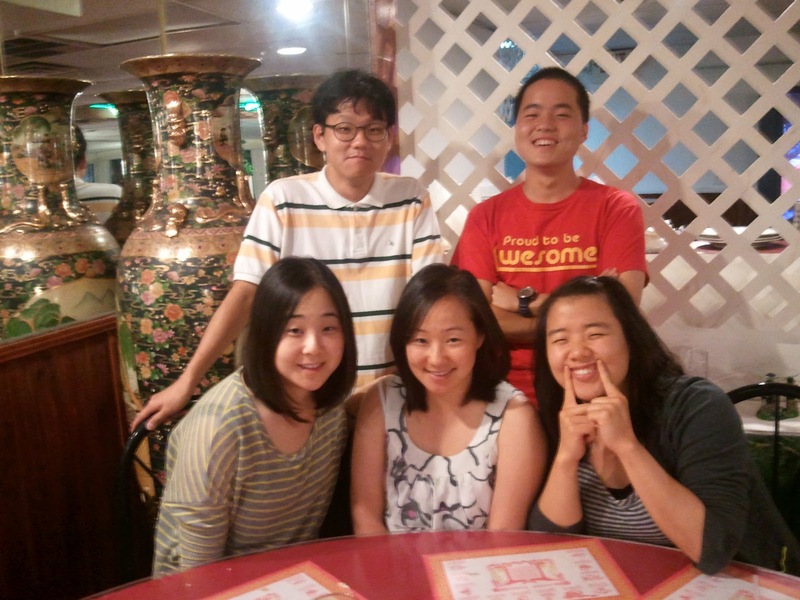 Next time, we will definitely get together for a meal. To the “AYR” Crew – Cannot BELIEVE we were all able to reunite (even for just one night). 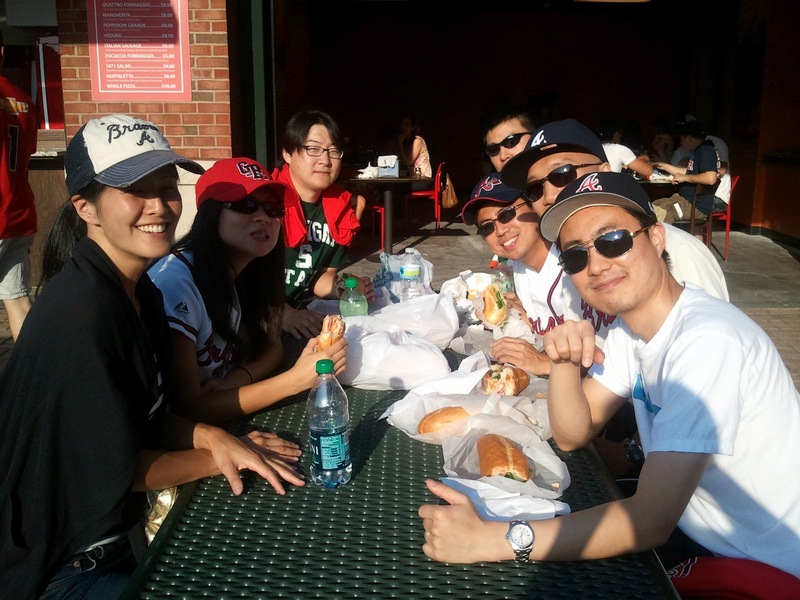 It was so good to see all of you (Jonghwi, JiHan, Sean, James, Dave, Daniel, Abin). So many great memories come flooding back when we’re together. Though we are spread all over the world, it’s good to know that we will always have that special bond between us all. If you’re ever in our neck of the woods (Midwest), let me know! Can’t wait to see you all again! And to everyone else who made my time in Atlanta such an unbelievable one…THANK YOU!! So in short, “home” is not a place, it’s the people in the place that allows me to establish it as “home”. Perhaps, this is truly what God intended “home” to be…after all, we are all “not home yet” until the moment we see Him face to face. Our ultimate “home” isn’t heaven in and of itself (though I’m sure it is marvelous)…it’s being with the true One and Only forever and ever that makes the place called heaven “home”. So until then, may the love of those who surround you make wherever you may be feel like “home”. Awesome post, love you!!!!!! Can't wait to visit again!